If you have invested into website design services and you are wondering what to do now, it is a good time to think about visitors ans traffic. They are one in the same, and can be generated through various different means. It is critical to understand the various things that you can do to start making money from your website, you just have to know where to look. Below, you’ll find online marketing techniques that are highly effective and can provide results for your business. However, you have to know how to use the services correctly, or you will not see favorable results. There are always local website design companies that provide the services you’ll see below, SEO specialists are a good choice as well. You may want to get in touch with a developer or SEO expert, if you are actively investing in your online success. SEO is the process of getting your website ranked on Google and other search engines in the natural/organic listing section. This section is completely free to get listed in, but you have to optimize your website so that it appeals to search engines and they will find your website worthy of being ranked. This is done through link building and on page adjustments, it’s a complicated process but it can be a very effective way to get long lasting, market dominating results. 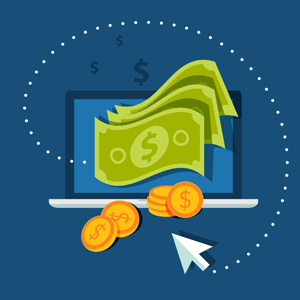 Paying for ads to get your website featured at the top of Google or on niche related websites in your industry is called pay per click marketing. You will pay for each click that your advertisements received but the traffic is highly targeted and can provide results immediately. The return on investment can be quite high once you optimize your campaign for success. This usually takes a lot of trial and error, or again you would need an expert to help with the keyword research and trend monitoring. Once the best keywords and strategy have been isolated, you will watch the potential clients beat a path to your door! Of course, advertising on social media websites like Facebook is another very popular option for small businesses today. It’s a great way to do effective branding techniques and they can get your business recognized in the industry. There are many immediate benefits to social media advertisement, but you must have a lot of time on your hands to; tweet, post, comment and create content for others to consume. Without a proper amount of things to talk about and get others involved in, you won’t see favorable results. That is why it is best to consult an expert on this method as well. The best way to ensure that you are marketing your website properly, is to consult your web developers or another professional. They will be able to best guide you in your marketing campaign, as well as handle it for you if need be.